This is such a fantastic cleansing smoothie and really makes you feel beautiful while you drink it. You can just feel this goodness going into your body, which is truly amazing. It contains several magically detoxifying ingredients which work together to cleanse your colon and you will feel very pure after drinking this. 2 Apples, your choice, cored & quartered. 1 Avocado, peeled & pitted. Half inch of ginger, peeled and cut very finely. Juice of one small lemon. Optional: pinch of kelp flakes for extra iodine. Put all the ingredients into a vitamix or food processor along with the juice of the lemons and blend until smooth. This really is an immune boosting, cleansing smoothie. The avocado is a wonderful fruit packed with antioxidants, lowers cholesterol & contains glutathione, which blocks at least 30 different carcinogens while helping the liver detoxify synthetic chemicals. One Response to Super Green Cleansing detoxifying smoothie. Hi Sophie. Thanks for making the effort to explain the nutritional benefits and how they support the bodily functions internally. It makes the foods more attractive knowing what they will do for our bodies. Your story is very inspiring. Thanks for all your great recipes. 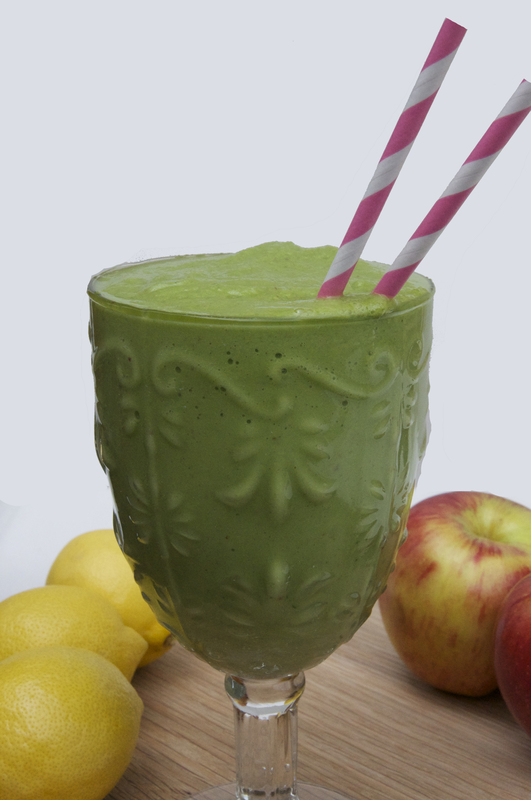 » Breakfast, Snacks » Super Green Cleansing detoxifying smoothie.